LIBER CCXX: (LIBER AL VEL LEGIS), The Book of the Law. This book is the foundation of the New Æon, and thus of the whole of our Work. THE EQUINOX, Vol. I. Nos. I.-X. The standard Work of Reference in all occult matters. The Encyclopaedia of Initiation. LIBER ABA (Book 4). A GENERAL ACCOUNT in elementary terms of magical and mystical powers. In four parts: (I) Mysticism. (a) Magical Theory. (3) Magical Practice. (4) The Law. LIBER II. THE MESSAGE OF THE MASTER THERION, which explains the essence of the new law in a very simple manner. LIBER DCCCXXXVII. THE LAW OF LIBERTY, which is a further explanation of the Book of the Law in reference to certain ethical problems. THE YI KING. (S. B. E. Series, Oxford University Press.) The “CLASSIC OF CHANGES”; gives the initiated Chinese system of Magick. THE TAO TEH KING. (S. B. E. Series.) Gives the initiated Chinese system of Mysticism. TANNHÄUSER, by A. Crowley. An allegorical drama concerning the Progress of the Soul; the Tannhäuser story slightly remodelled. THE UPANISHADS. (S. B. E. Series.) The Classical Basis of Vedantism, the best-known form of Hindu Mysticism. THE BHAGAVAD-GITA. A dialogue in which Krishna, the Hindu “Christ ” expounds a system of Attainment. THE VOICE OF THE SILENCE: by H. P. Blavatsky, with an elaborate commentary by Frater O.M. THE HATHAYOGA PRADIPIKA. Similar to The Shiva Samhita. Erdmann’s HISTORY OF PHILOSOPHY. A compendious account of philosophy from the earliest times. Most valuable as a general education of the mind. THE DHAMMAPADA. (S. B. E. Series, Oxford University Press.) The best of the Buddhist classics. THE QUESTIONS OF KING MILINDA. (S. B. E. Series.) Technical points of Buddhist dogma, illustrated by dialogues. LIBER DCCLXXVII. 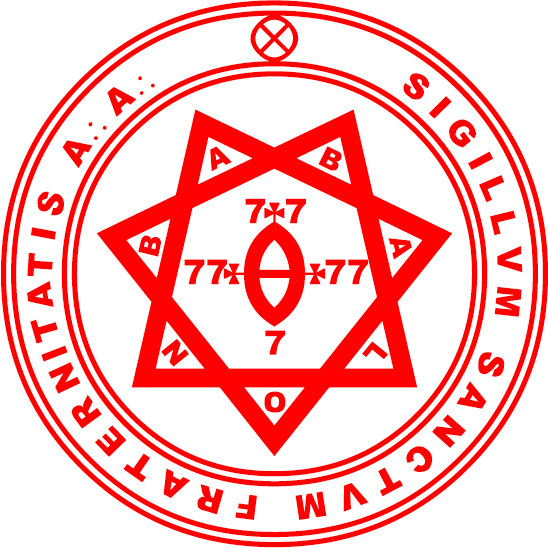 Vel Prolegomena Symbolica Ad Systemam Sceptico-Mysticae Viae Explicandae, Fundamentum Hieroglyphicum Sanctissimorum Scientiae Summm. A complete Dictionary of the Correspondences of all magical elements, re-printed with extensive additions, making it the only standard comprehensive: book of reference ever published. It is to the language of Occultism what Webster or Murray is to the English language. KABBALA DENUDATA, von Rosenroth: also the Kabbalah Unveiled, by S. L. Mathers. The text of the Qabalah, with commentary. A good elementary introduction to the subject. PISTIS SOFIA. An admirable introduction to the study of Gnosticism. THE DREAM OF SCIPIOS, by Cicero. Excellent for its Vision and its Philosophy. THE GOLDEN VERSES OF PYTHAGORAS, by Fabre d’Olivet. An interesting study of the exoteric doctrines of this Master. TWO ESSAYS ON THE WORSHIP OF PRIAPUS, by Richard Payne Knight. Invaluable to all students. RIVERS OF LIFE, by General Forlong. An invaluable textbook of old systems of initiation. FIRST PRINCIPLES; by Herbert Spencer. The Classic of Agnosticism. THE FOURTH DIMENSION by H. Hinton. The text-book on this subject. THE ESSAYS OF THOMAS HENRY HUXLEY Masterpieces of philosophy, as of prose. The object of this course of reading is to familiarize the student with all that has been said by the Great Masters in every time and country. He should make a critical examination of them; not so much with the idea of discovering where truth lies, for he cannot do this except by virtue of his own spiritual experience, but rather to discover the essential harmony in those varied works He should be on his guard against partisanship with a favourite author. He should familiarize himself thoroughly u with the method of mental equilibrium, endeavoring to contradict any statement soever, although it maybe apparently axiomatic. The general object of this course, besides that already stated, is to assure sound education in occult matters, so that when spiritual illumination comes it may find a well built temple. Where the mind is strongly biased towards any special theory, the result of an illumination is often to inflame that portion of the mind which is thus overdeveloped, with the result that the aspirant, instead of becoming an Adept, becomes a bigot and fanatic.